A federal appeals court on Friday threw out a rule that allows nuclear power plants to store radioactive waste at reactor sites for up to 60 years after a plant shuts down. A three-judge panel of the U.S. Court of Appeals for the District of Columbia unanimously ruled that the Nuclear Regulatory Commission did not fully evaluate risks associated with long-term storage of nuclear waste. The court said on-site storage has been "optimistically labeled" as temporary but stretched on for decades. The appeals court, ruling in a case brought by four Northeastern states, a Minnesota Indian tribe, and other groups, said the NRC should complete a detailed environmental review of on-site storage or explain why one is not needed. The court stopped short of requiring separate environmental studies at each reactor site, a request the tribe made. The tribe will continue to push for a site-specific environmental review as the NRC reconsiders the storage rule. The Prairie Island plant stores highly radioactive spent fuel rods in an indoor pool and in 29 sealed, dry casks outdoors. The storage facility is on the Minnesota Indian tribe's ancestral homeland. It is literally 600 yards away from the nearest resident. 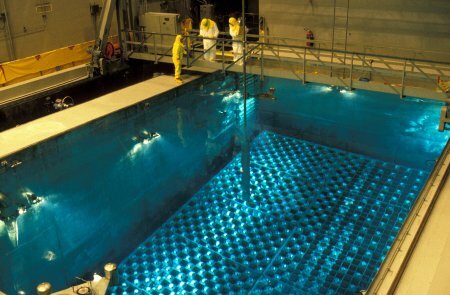 Waste is stored on site at the nation's 104 nuclear reactors in pools or in dry casks. 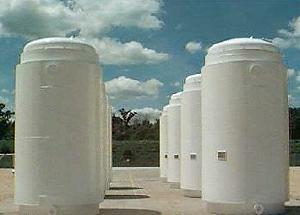 Minnesota's other nuclear power plant, Xcel's Monticello reactor, also has an indoor pool and outdoor casks for waste. Both plants are expected to operate until the early 2030s. The ruling did not appear to have any immediate implications for operations at the two nuclear plants, but it "is one more indication that the federal government needs to act quickly to meet its obligation to remove used fuel from our nuclear plant sites in Minnesota."